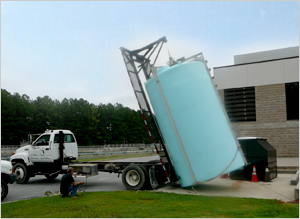 Premier Magnesia provides turnkey delivery and installation of THIOGUARD® Feed Tank Units at your location. 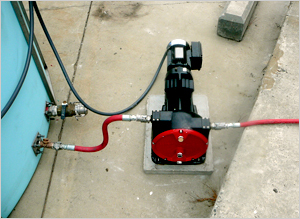 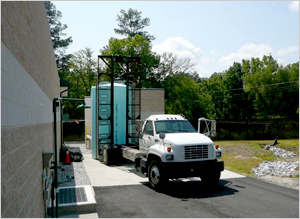 THIOGUARD® Feed Tank Unit delivery is simple and efficiently placed. 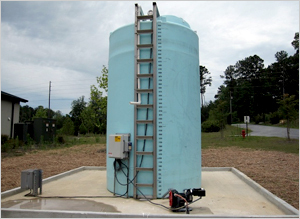 Typically, preliminary baseline collection system and plant data is collected in order to properly size the THIOGUARD® Feed Tank and to determine the proper per day gallon feed rate per million gallons treated. 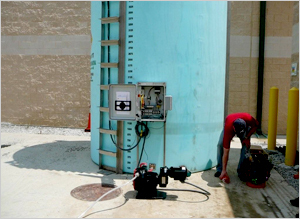 As seen in the pictures below the typical installation is completed within hours.